Why Aren't My Shopify Sales Appearing in My Sales Ledger – How can we help? Your Shopify orders should sync over to your Vend Sales Ledger a few minutes after they are completed. If this doesn't happen, or only some of your orders sync over, there a few things you will want to check to ensure your orders will sync over from Shopify into your Vend Sales Ledger. In Vend, you will need to make sure your Shopify integration is set up correctly so that Vend will look to Shopify for new orders. 1. Head to Setup>Add-ons>Shopify. Click on the pencil icon. 3. Go to Get Shopify Orders>Get New Shopify Orders to check if your orders will sync through now. 4. 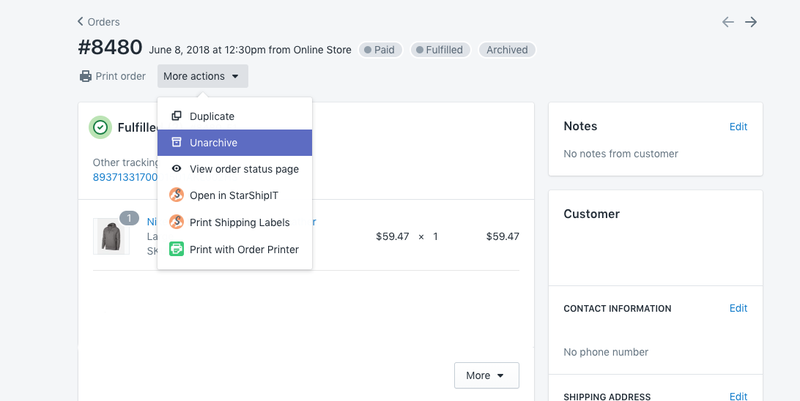 If this box is checked and you still do not see orders in your Sales Ledger, it may be that your orders are archived in Shopify. 1. Head into Shopify and click Orders. Select one of the orders that are not appearing in your Sales Ledger. Across the top of the order, you'll be able to see if it's archived, like this one below. 3. Now, head back into Vend and go to Setup -> Add-ons -> Shopify -> Get Shopify Orders -> Get New Shopify Orders. You should notice that your orders should appear in your Sales Ledger. 1. 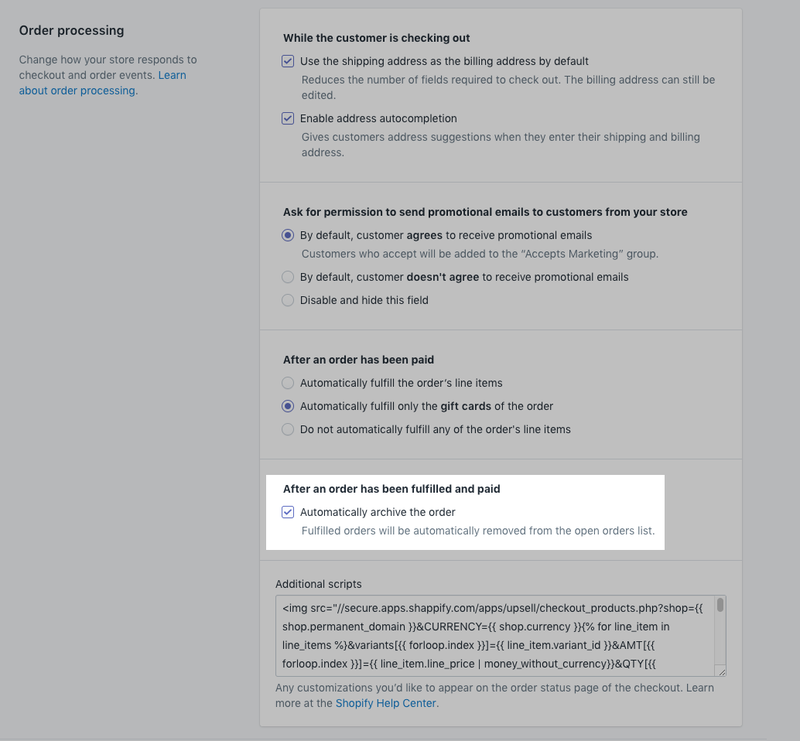 Head into Shopify and go to Settings -> Checkout Settings. 2. Scroll down to Order processing, and make sure that Automatically Archive the Order is not ticked. If you have checked these settings, followed the steps above and your orders are still not syncing over, please take note of the order numbers that are not syncing and contact our support team.